The fundamental aim of the text below is to deal with the concept and models of global security as one of the crucial topics of global politics studies. We have to keep in mind that a term and notion of security usually implies a kind of sense of protection and safety from different possible harms coming from “outside”. Therefore, it can be generally acceptable and understandable that the states want to protect their own territories by expanding great resources in making their territorial safe. Security topics are of very different kind, ranging from the causes of conflict between states to deterioration in the global climate or women’s rights in global politics. The question of Security Studies as an academic discipline within the scope of Global Politics has been the subject of much debate and one of the most prosperous ways to deal with global security is firstly to analyze different standpoints which are existing within the research discipline. The article, in one word, will try to provide the readers with a basic approaches in the academic field of Security Studies with some necessary personal remarks by the author. The conception of international systems of states is crucial as explanatory mechanism of both global politics and global security models. However, in order to understand international systems of states firstly the very notion of a system itself has to be clarified and defined. In this context, it can be said that “a system is an assemblage of units, objects, or parts united by some form of regular interaction”. Any system is necessarily constructed of different members on micro and macro levels which are interacting between themselves from horizontal and vertical perspectives. The member units of a system are of different size, capacity, potentials, wealth, might and therefore of different positions regarding the decision making procedure and especially power. For the reason that member units of a system are constantly interacting with each other either from horizontal or vertical perspectives, it is quite naturally that in the case of a change in one unit the reactions to such change are expected by other units. The most expressed examples are arms race, seeking for balance of power, making political-military blocs with other units or even in the most drastic cases, committing aggression on the member unit. Any system with its member units has a tendency to regulate the relations between them and to try to respond by different means if those relations are changed at the expense of the hegemonic unit(s) of the system. It can exist at the same time two or more systems which are separated from each other by regulated boundaries, but different systems very often collaborate across the boundaries, for instance, in the areas of economy, knowledge or technology exchange as it was the case during the Cold War era (1949−1989). Finally, one system can break down for any reason what means that necessarily changes within the system were not achieved in order to save it (for instance, the case of the Warsaw Pact in 1990−1991). Subsequently, in stead of the old system a new system can emerged or the member units of the old system can be simply absorbed by another one as it happened, for example, with majority of the Central and South-East European states after the Cold War. It is very difficult to fix the exact date when global system of international relations (IR) and therefore global security models started to work for the very reason that the process of globalization occurred over many centuries. However, the modern European system of IR can be traced back up to the time after the 1648 Westphalian Peace Treaty, while the process of globalization of international systems of inter-states relations started to work from the first half of the 19th century. International systems of inter-states relations and global security became after the WWII investigated as academic subjects within the framework of World Systems Theory (WST) which recognizes that the states are historically playing the fundamental role in IR and they will do that in the future as well as but the systems of relations of (nation)-states have to be understood and put in the context of global unity rather than conflicts based on realizations of different national interests. What the theoreticians of WST suggest is that the most meaningful system of global security has to be based on world-system but not on nation-states system. Therefore, they believe that international cooperation and order will replace international conflicts and anarchy. 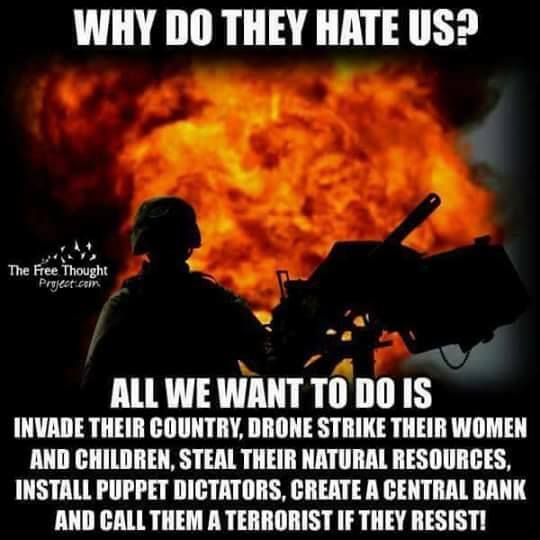 However, behind WST is basically hidden a system of Capitalist World-Economy (CWE) which is advocating ideology of globalization as a new form of the Western global imperialism based on the international division of labour. 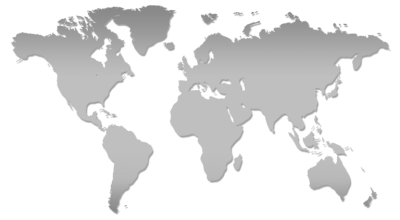 Thus, according to CWE, the whole world is divided into three labour and economic zones: the core-states (the Western developed mature economies); the periphery-states(mainly ex-colonies from Africa with still underdeveloped economies); and the semi-periphery states (mainly East-European ex-socialist states and Middle-East oil-rich states with rising economies and growing infrastructure). The essence of WST/CWE is that a globalization has to function in full benefit of the core-states which are fully exploiting the periphery-states with a semi-periphery states as a buffer between core and periphery segments of the world economy which are partially exploited by the core-states (by financial and economic means). In one word, WST/CWE is trying to legitimate existence and functioning of global Western capitalism and its exploitation of the rest of the world by promulgation of globalization ideology. However, the liberal ideology of globalization is advocating in reality the global process of (pervasive) American Westernization from all points of view – from cultural, economic or political to the issues of values, tradition and customs. The Independent State System (ISS) is composed by the states as political actors and entities which each of them claim to be independent that means both autonomous and sovereign. The fundamental feature of such state, at least from the very theoretical point of view, is that it has right and possibility to make its own foreign and domestic policies out of any influence or dependence from the outside. The ISS presupposes that the state territory and its citizens are under full control and governance by the central state authority and that the state borders are inviolable from outside. In other words, any outside actor is not eligible to interfere into domestic affairs of the state which can be governed only by one “legitimate” authority that is internationally recognized as such. An independent state has to be and autonomous that means (as it meant at the time of ancient Greeks where the term comes) that the legitimate state authorities are adopting their own law and organizing the state activities, political and other types of life of the society according to it but not according to the imposed law, rules or values from the outside. States had to be equally treated and understood in regards to their claims to independence, autonomy and sovereignty regardless to the very practical fact that not all of them are of the same power, capabilities and might. The Hegemonic State System (HSS) is based on an idea of a hegemon and hegemony imposed by a hegemon in IR what means that one or more states (or other actors in politics) dominate the system of IR or/and regional or global politics. A hegemon is fixing the standards, values and the „rules of the game“ and having direct influence on the politics of the system’s members like, for instance, the US in the NATO’s bloc. Unipolar (or Single) hegemony, when a single state is dominating as it was the case with the US immediately after the WWII. In practice, in any of these three HSS, lesser powerful actors may interact their powers, but they have to get a permission by the hegemon for such action. In HSS, usually domestic affairs of the states are left untouched by the hegemon, while their foreign affairs are strictly under the hegemonic control. The third type of IR, the Imperial State System (ImSS), existed from the ancient time (Assyria, Persia, Macedonia, Rome) and has been dominant in Europe, North Africa and Asia in the Middle Ages (the Frankish, Holy Roman, Byzantine, Ottoman or Habsburg empires). The essence of empire as a system is that it is composed by separate societal, ethnic, national, linguistic or/and confessional parts which are associated by regular interaction. However, within such multi-structural imperial framework it is a regular practice that one unit dominate over others by imposing over the rest its own political supremacy. The rest of the framework units have to accept such reality either by force or by interest while a political supremacy by one (ruling) part can be accepted by the others either implicitly or explicitly. However, the question arises what is a difference between the Hegemonic and the Imperial State System as these two systems seems to be very similar if not even the same? Nevertheless, the fundamental difference is that a dominant unit of an empire is much more able to manage other subjects of the state system in comparison to HSS and especially to force them to work for the central authority (tax collection, recruiting people for the imperial army, appointing local political client leaders, etc.). The empires are usually created and enlarged by military conquest, but also they can be militarily destroyed from the outside or disappear due to the inner revolutions followed by civil wars. Security dilemma is based on an idea that security is a goal for which states struggle and compete between themselves. In principle, the states have to look to their own protection especially in an “anarchical” world system in which does not exist any supranational authority (like the UNO or OEBS, for instance) to be capable to impose and/or to ensure regional or global order of IR. In practice, traditionally, the states in order to achieve their security goals were striving for more and more power for the reason to escape the impact of the power and foreign policy of other states especially of the neighbours as the European history clearly shows. However, such practice in turn makes the other states or other actors in IR to feel themselves more insecure and therefore it encourages them to be prepared for the worst scenario (conflict, aggression, war). As any state cannot ever feel entirely secure, the security competition among the states is endless process that is resulting in constant power rising. In other words, security dilemma provokes a policy to firm security of a (nation)state which has a direct effect of threatening other states or actors in IR and, thereby, provoking power (usually military) counter-actions. This endless process is in fact decreasing security for all states especially if we know that in many cases offensive (imperialistic) foreign policy is justified by national arming by “defensive” weapons (the case of the US, for instance). Global security as a concept has to be essentially founded on the idea of human (individual and group) security. However, IR in practice are based on the right to self-preservation of the states (i.e., of their political regimes and social elites in power). This idea is born by Englishman Thomas Hobbes (1588−1679) who argued that the right to self-preservation is founded on a natural law, requiring at the same time a social harmony between the citizens and state authority. Therefore, global security has to be founded primarily on the concept of (a nation)state security as the states are natural form of political associations by the people and still are the fundamental actors in IR. The idea is that, presumably, both individual and civil rights of the citizen would be effectively secured only if the individual consented to the unchecked power of the state ruling elite. Therefore, we can say that a modern philosophy of state totalitarian regimes is de facto born by Th. Hobbes. Based on Th. Hobbes’ security philosophy, states will stress the necessity of social collectivisation for the protection of their security interests – it is how the concept of Collective Security (CS) was institutionalised as a mechanism that is used by the states in one bloc not to attack or proclaim the war to other states within the same bloc of coalition. The member states of the same bloc accept the practice to use their collective armed forces and other necessary capabilities in order to help and defend a fellow member state in the case of aggression from outside. Such “defensive” collective action has to continue until the time when “aggression” is reversed. The essence of such concept, therefore, is a claim that an „unprovoked“, aggressive attack against any member of an organisation is going to be considered as an attack on all member states of that organisation. In practice, any really provoked attack of aggression can be easily claimed as „unprovoked“ as it happened, for instance, with the case of Pearl Harbour in 1941 as we know today that the US regime did everything to provoke „unprovoked“ Japanese action on December 7th. Nevertheless, while the concept of CS became the tool to count state aggression, it left very open question of how best to promote the individual or group (minority) security. It has to be clarified that the very idea of human security is not opposing concern of national (state) security – the requirement that state is in obligation to protect its own citizens from the aggression from the external world, i.e. by a foreign actor. The human security idea argues that the most important focus of security has to be put on individual not on state but the state has to protect all its citizens as the protection umbrella from the outside threat. This approach takes an individual-centred view of security that is a basis for national, regional and finally global security. In essence, protection of human (individual and group) rights is giving the main framework for the realization of the concept of human security that advocates “protection against threats to the lives and well-being of individuals in areas of basic need including freedom from violence by terrorists, criminals, or police, availability of food and water, a clean environment, energy security, and freedom from poverty and economic exploitation”. The idea of CS is for sure very attractive for the academics as it seeks to bring about important benefits of a “global government” but without altering the fundamental essence of traditional states system of anarchy. The concept of CS from global perspective, therefore, means a “system of international security under which all states agree to take joint action against states that attack”. Anyway, formally, the concept of CS wants to apply a set of legally established mechanisms which are designed to prevent possible aggression by any state against any other state at least without the formal permission by the UNO. Different theorists explain on different ways by using different arguments the benefits or disadvantages of one of three possible global security models: Unipolar, Bipolar or Multipolar. Debates are basically going around the arguments which one of these three models is the most stable and above all most peaceful in comparison to all other models. Those who advocate the Unipolar Security Model (USM) claim that this model gives the most security guarantees as in this case there is simply one power (state) to be in a position of a dominant actor in global politics having a role of a global hegemon or world policemen. It is a belief that world politics can be mostly peaceful if there is a single dominant state that is strong enough to enforce peace as a global hegemon. The hegemon is going to be so powerful that no any other global actor can challenge its superiority in world affairs and IR. 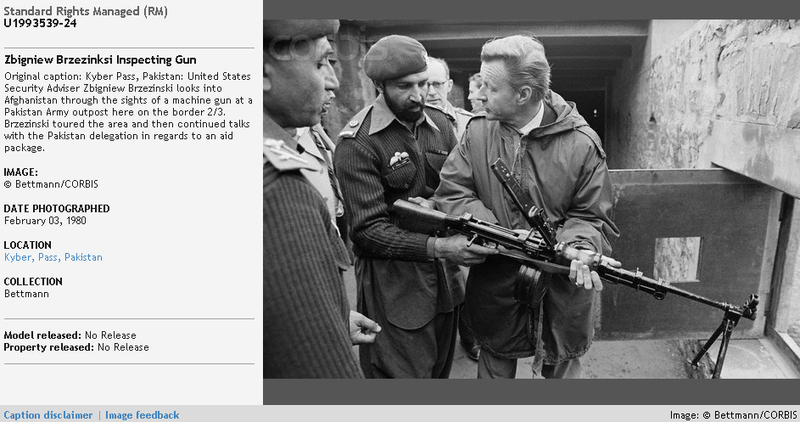 This model of global security was adopted by the US administration immediately after the Cold War and mainly was advocated by Zbigniew Brzezinski who was trying to laid down academic foundations of the American hegemonic position in global politics which had primarily goal to destabilize, dismember and finally occupy Russia for the sake of free of charge exploitation of her natural resources according to the Kosovo pattern from June 1999 onward. If the US administration succeed in realization of such goal, the global geopolitical game over the Eurasian Heartland would be finally resolved in the favour of Washington. The NATO was, is and going to be from the very beginning of its existence (est. 1949) the fundamental instrument of the US policy of global hegemony concept that is known also as Pax Americana. Up today, the NATO remains the most powerful military alliance in the world that was allegedly established “…to provide security for Western Europe, NATO became an unprecedented peacetime alliance with a permanent secretariat and a military headquarters that represents the US commitment to deter Soviet aggression”. However, the very existence of the NATO after the dissolution of the Soviet Union clearly prove that the ultimate goal of its creation and functioning was not “to deter Soviet aggression” while its (only eastward) enlargement from 1999 onward indicates that in fact Russia was, is and going to be the chief object of the fundamental point of the NATO’s policy of the US expansionism and global hegemony. The 1998−1999 Kosovo War, in which the NATO’s forces became deeply engaged for the first time after its establishment in 1949, marks the beginning of the direct US policy of brutal and open gangsterism (at least) after the Cold War on the global level of IR and world politics. The USM is necessarily founded on an idea of hegemony in global politics. The word hegemonia comes from the ancient Greek language (as many other words used today by the Western academic world) with authentic means of “leadership”. In IR, a notion of a “hegemon” is used as a synonym for “leader” or “leading state” within the system (bloc) composed by at least two or several states. However, the bloc member countries have to establish and maintain certain relations between themselves what practically means that one of member states became de facto a hegemon within the whole bloc concerning decision making policy and procedure (for example, the USA in the NATO, the USSR in the Warsaw Pact or Germany in the EU). A leadership or hegemony within the system implies certain degree of order, collective organization and above all hierarchy relationships between the members of a system. However, political hegemony in IR is not existing by itself as it is a phenomenon which exists within some interstate system, that is itself the product of specific historical, political, economic, ideological or other circumstances. All hegemonic states within the system enjoy “structural power” which permits the leader to occupy a central leading position in its own created and run system. All other member states are collaborators to the leading role of the hegemon expecting to get a proper reward for their service. On the other hand, a hegemon has to mobilize its own economic, financial, technical, political, human and other resources in order to perform a role of a leader and, therefore, this is why only some (rich) states have a real potential to be hegemons (like the USA in the NATO, for instance). The USA is today the world’s most powerful and imperialistic single state ever existed in history. Washington is after the WWII using the NATO as a justification of its global hegemonic designs and the American ability and willingness to resume a hegemonic role in the world are of the crucial importance for IR, world order and global security. In principle, majority of studies dealing with hegemony and imperialism point to the British 19th century empire and the US empire after the WWII as two most successful hegemonic cases in world’s political history. Both of these two empires formally justified their policy of global imperialism within the framework of the concept of USM. Nevertheless, in the unipolar system, a hegemon faces few constraints on its policy, determines rules of game in global politics and restricts the autonomous actions by others as it was exactly the case by the US as a “world policemen” at the time of the New World Order in 1990−2008. But on the other side, such hegemonic position and policy of terrorizing the rest of the world (or system) provokes self-defence reactions by others which finally results in the change in the distribution of power among the states (or actors) that can be a cause of war on larger scale of intensity and space. For the matter of comparison, the US hegemonic, Russophobic and barbaric global policy at the time of the post-Cold War New World Order can at the end cause a new world war with Russia (and probably China) as the Peloponnesian War (431−404 BC) were caused by the hegemonic policy of the Athens which provoked the fear and self-defence reaction by Sparta. The champions of the Bipolar Security Model (BSM), however, believe that a bipolarity of global politics could bring a long-time peace and world security instead of USM. In the case of BSM, the two crucial powers in the world are monitoring each other’s behaviour on global arena and therefore removing a biggest part of the security uncertainty in world politics, international relations and foreign affairs associated with the possibility of the beginning of war between the Great Powers. The academic research field of Security Studies is of extreme complexity raging from the standpoint that these studies should have a narrow military focus as the fundamental security threat to the territorial integrity of states comes during times of conflict to the view that individuals are the final research object of the studies but not the states themselves. Therefore, many academics focus their research on global security basically on human emancipation which is usually understood as achieving wide scope of freedoms – both individual and group. They argue that academic discipline of Security Studies should focus on them but not on the security of the state. Alvin Y. So, Social Change and Development: Modernization, Dependency, and World-System Theories, Newbury Park−London−New Delhi: Sage Publications, 1990. Cynthia Weber, Simulating Sovereignty: Intervention, the State, and Symbolic Interchange, Cambridge, UK: Cambridge University Press, 1994. Hannes Hofbauer, Experiment Kosovo: Die Rückkehr des Kolonialismus, Wien: Promedia Druck- und Verlagsges. m.b.h., 2008. Immanuel Wallerstein, World-Systems Analysis: An Introduction, Fifth edition, Durham, NC: Duke University Press, 2007. Jeffrey Haynes, Peter Hough, Shahin Malik, Lloyd Pettiford, World Politics, New York: Routledge, 2013. John Baylis, Steve Smith, Patricia Owens, The Globalization of World Politics: An Introduction to International Relations, Seventh edition, New York: Oxford University Press, 2017. Joshua S. Goldstein, International Relations, Fourth edition, New York: Longman, 2001. Karen A. Mingst, Essentials of International Relations, Third edition, New York−London: W. W. Norton & Company, 2004. Martin Griffiths, Terry O’Callaghan, Steven C. Roach, International Relations: The Key Concepts, Second edition, London−New York: Routledge, Taylor & Francis Group, 2008. Martin Wight, Systems of States, Leicester, UK: Leicester University Press, 1977. Paul R. Viotti, Mark V. Kauppi, International Relations and World Politics: Security, Economy, Identity, Fourth edition, Upper Saddle River, New Jersay: Pearson Prentice Hall, 2009. Peter Hough, Understanding Global Security, 2nd Edition, London−New York: Routledge, 2008. Richard W. Mansbach, Kirsten L. Taylor, Introduction to Global Politics, Second edition, London−New York: Routledge, 2012. Thucydides, The Peloponnesian War, Indianapolis: Hackett Publishing Company, Inc., 1999. Михаил Ростовцев, Историја старога света: Грчка и Рим, Нови Сад: Матица српска, 1990. Пјер Пеан, Косово: „Праведни“ рат за стварање мафијашке државе, Београд: Службени гласник, 2013 [translation from the French original: Pierre Pean, Sébastien Fontenelle, Kosovo: Une Guerre „Juste“ pour Créer un Etat Mafieux, Librairie Arthème Fayard, 2013]. Security Studies as an academic discipline belong to a wider subject of International Relations(IR) that is the study of total political relations between different international actors but fundamentally between the sovereign states. The main concern of Security Studies is the global securuty and its maintainance (Peter Hough, Understanding Global Security, Second edition, London−New York: Routledge, 2008, 2).